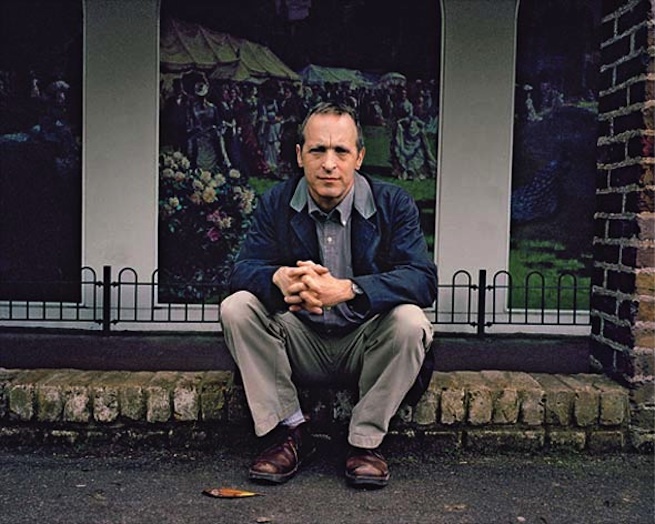 Best-Selling and celebrated author David Sedaris has been delighting readers for more that 20 years with his self-effacing essays in which he mines stories from his family, childhood, and day-to-day experiences for the perverse humour of human existence. He first gained popularity in the early 1990s with his humourous radio essays on NPR (such as the SantaLand diaries in which he recounts his stint working as a Christmas elf at the Macy’s Department Store) and then later through his contributions to PRI’s This American Life, and the New Yorker magazine. 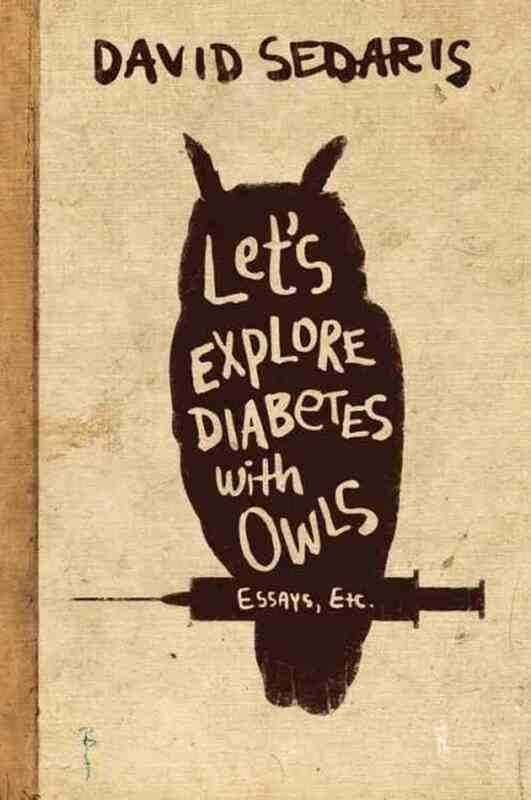 His latest collection of essays Let’s Explore Diabetes with Owls is his 9th book and has earned him the usual glowing reviews and place on-top of the best-sellers list. David Sedaris was in Toronto in May as part of his book tour and I leapt at the chance to have him on for an interview. We spoke about everything from his success as an artist, and his public persona, to his early days as a writer, and his admiration for the radio prose of the great Jonathan Goldstein. This week a look at two new documentary films, which played at this year’s Hot Docs Film Festival in Toronto. 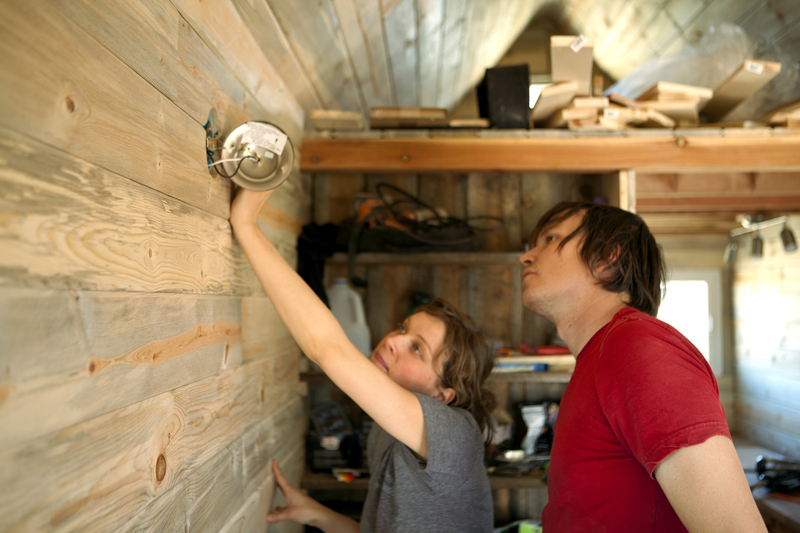 First up – Tiny A Story About Living Small takes a look at the new movement of living small in a big way. We North Americans are known for our love of material things, including large houses. But a growing community of individuals and couples have started questioning the more is better paradigm and have begun experimenting just how little we need to be happy. One of the most interesting examples of this are the self-proclaimed “Tiny Housers” – people who have have opted to radically downsize their lives by building and living in tiny houses 200 square feet or less, a size no bigger than your average parking space! And in the second half, Caucus is a rare behind the scenes look at the ground battle of american presidential politics. 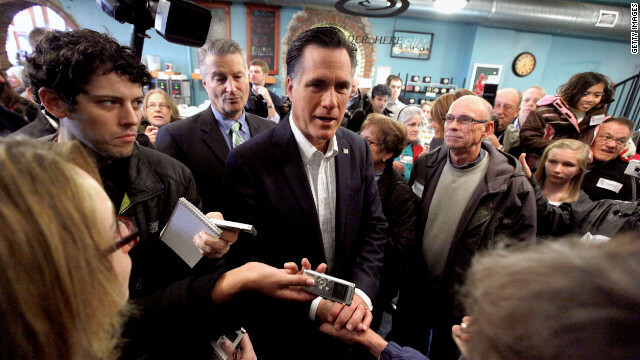 The film by AJ Schnack and Nathan Truesdell follows the 2012 Republican Iowa Caucus and documents the nine often lonely months the 8 republican candidates – From Michelle Bachmann to Mitt Romney spent traveling, stumping and campaigning around Iowa in the lead up to that states “first in the nation” primary vote. From corn dogs to lonely town halls, it’s a look at the bizarre nature, spectacle and life of being a presidential hopeful. At this years Hot Docs film festival in Toronto, I had the chance to catch the beautiful documentary Fall & Winter. 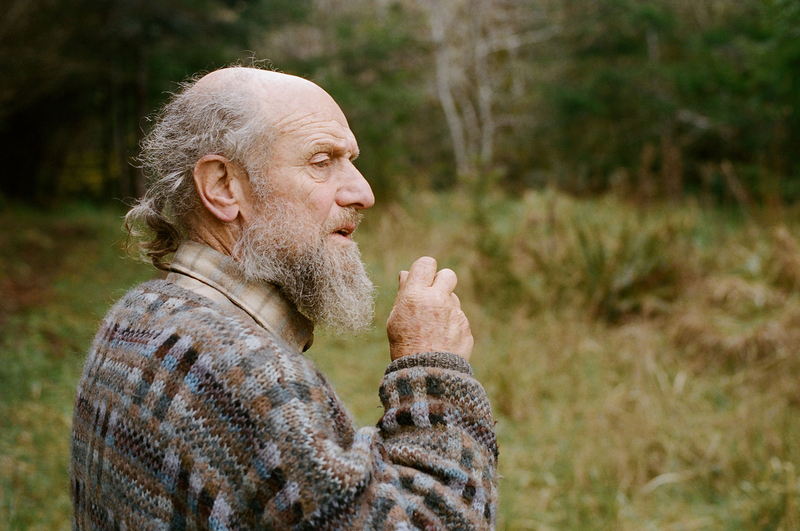 The feature debut by Vancouver raised director Matt Anderson is a captivating journey into the complex web of unfolding global crises facing our modern civilization and the mindset and path that brought us here. And although in many respects Fall and Winter could be called an environmental film, it’s not what you might expect. Rather than a barrage of facts and figures, or a focus on one specific environmental disaster or another, Fall & Winter is something much bigger. 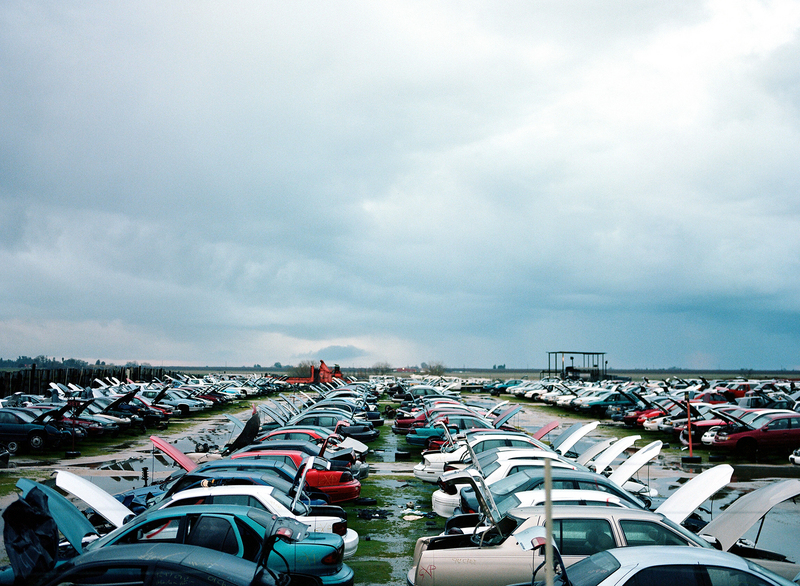 Over four separate trips and 16000 miles Matt Anderson and his team traveled across American looking for answers, conducting interviews, and filming the breathtaking landscapes and devastating scenes of industrial ruin that they encountered along the way. The result is both an intellectually powerful and visually stunning indictment of a civilization in peril. And the answers aren’t what you might except. Rather than looking at the direct superficial cause of any one specific environmental catastrophe, Fall & Winter takes a much broader perspective, and peers into the psychological, historic and spiritual factors that lie at the heart of the looming environmental catastrophes we’re confronting. It’s not just a matter of oil spills or greenhouse gases, but a much more basic but profound question, of how we view ourselves as humans and imagine our relationship to the natural world. As with any film confronting enormous problems, Fall and Winter has its share difficult messages, but this is not a story of despair. Rather it’s a call to reimagine how we live our lives and construct our societies. The film looks both to past wisdom as well as to a range of strategies being developed by committed groups and individuals all across America who are experimenting with new ways of living, from finding new uses for abandoned neighborhoods in Detroit to learning how to construct cobb houses in Oregon. All the while Fall & Winter manages to not only be insightful and important, but an engaging joy to watch. It had its Canadian debut at Hot Docs earlier this month to sold out crowds and before that played at SXSW in Austin Texas. 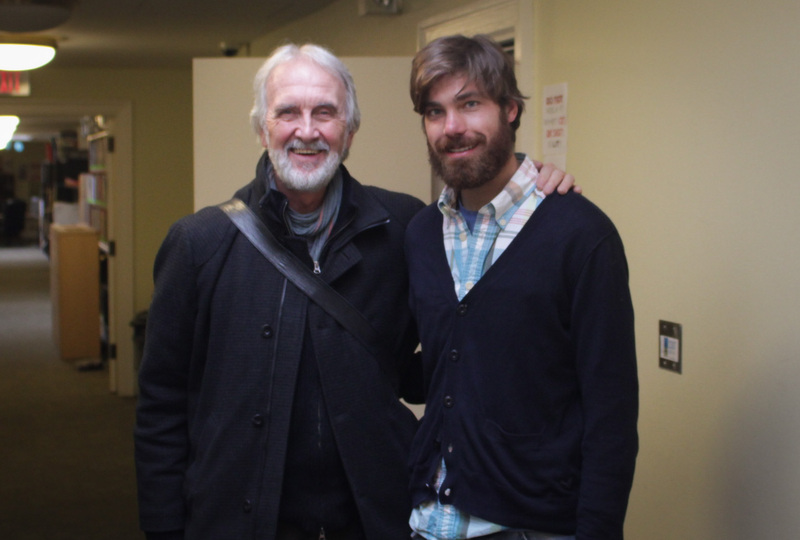 While he was in Toronto accompanying the film I took the chance to sit down with director Matt Anderson and speak with him about the film, the journey of making it, and about our changing relationship with the earth. And, remember to make sure to subscribe to our Podcast! Well if you’re like me, and belong to a certain generation of Canadians, who grew up in the 80s and 90s, there’s a good chance that hearing the name Fred Penner triggers a series of fond memories from childhood. 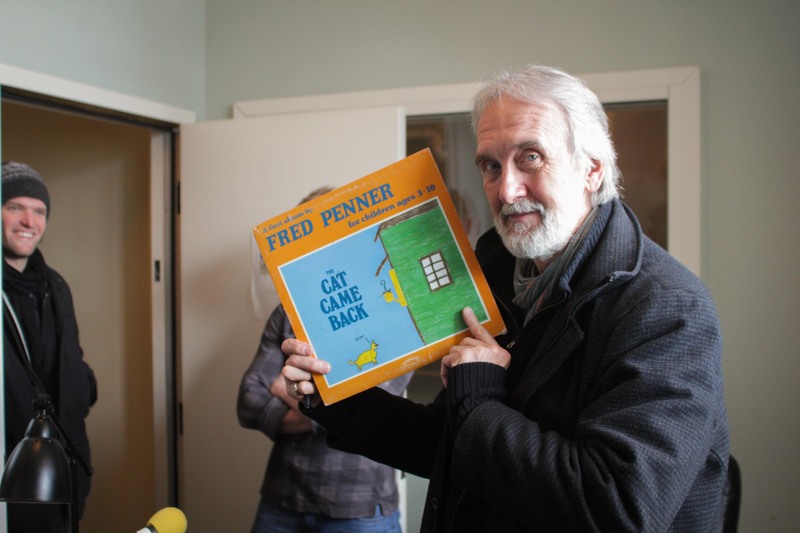 That’s because Fred Penner was the man behind Fred Penner’s place, a popular children’s television show that ran on CBC from 1985 to 1997. 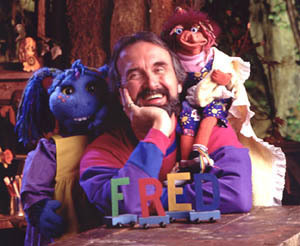 Over the course of almost 1000 episodes, Fred Penner entertained his young viewers with stories, music, and words (you might remember the famous “Word Bird”) and in the process influenced an entire generation of young Canadians. Fred Penner grew up in Winnipeg, and from a young age developed a love for music. But it was through playing songs for his younger sister Suzy, who was born with Down’s Syndrome, that he came to see music as a way to connect and make a positive difference in the life of children. 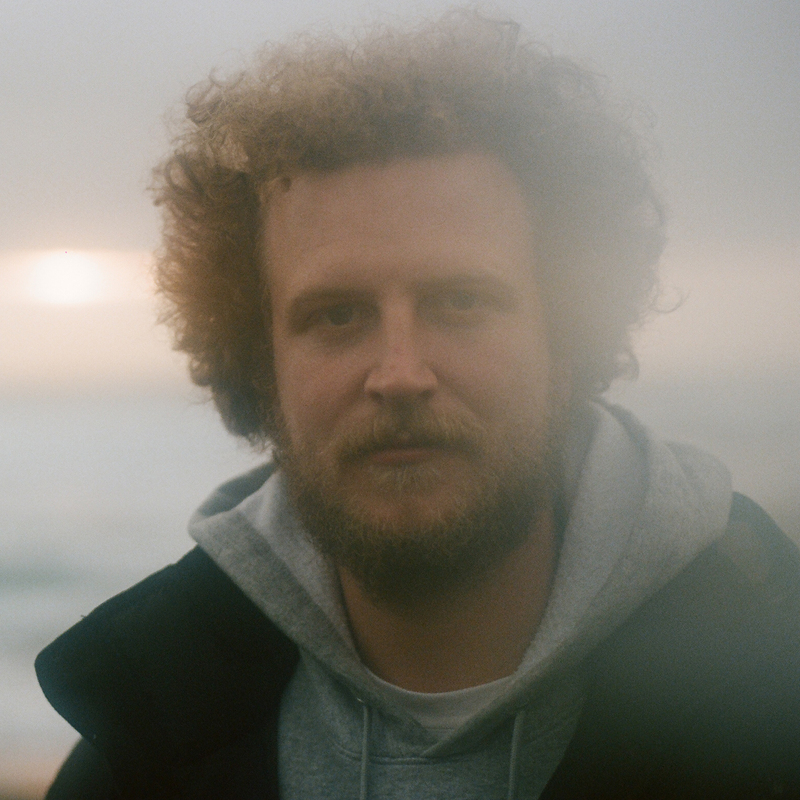 After graduating after from the University of Winnipeg, he started performing and touring around Canada both as a solo musician and as a member of various groups and acts. But it was in 1979 when he recorded His first LP of songs for children, The Cat Came Back that his career really took off. The album became hugely popular, and went on to sell more than 150,000 copies in Canada alone. The success got him noticed by popular childhood musician Raffi, who invited Penner to tour with him around North America. 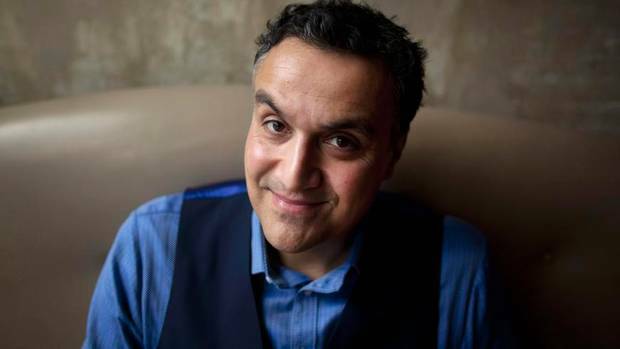 And after a few years of performing both with Raffi and as a solo artist to ever increasing audiences, Penner was approached by the CBC and asked if he would be interested in developing a children’s show based around his musical performances. And so Fred Penner’s place born, and it quickly became one of the most popular and beloved children’s shows on TV. His warmth and his obvious love for music endeared Fred Penner to a generation. And although the show was abruptly cancelled by CBC 1997, Penner never stopped believing in the importance of what he was doing, and continued performing and positively connecting with young people right up to the present. He’s recipient of the Order of Canada and multiple Juno Awards. And when he’s not busy performing, he’s actively involved with numerous children organizations and causes. I can only imagine how thoroughly impressed my 5 year old self would be that I had the great pleasure of meeting and speaking with Fred Penner in person! It’s fairly safe to say that we are a society enamoured, if not outright obsessed, with quick and easy solutions. Practically everywhere you turn we’re bombarded with promises of how in 5-easy-steps or 6-minutes-a-day we can achieve a flat stomach, earn more money from home, or cultivate the perfect marriage. You can see it in how we treat our problems from business to politics. Underperforming sports team? Fire the coach! Rising crime? Put in mandatory minimums! But in his new book The Slow Fix: Solve Problems, Work Smarter and Live Better in a World Addicted to Speed Journalist Carl Honoré makes a compelling case that our problems are rarely as simple as we like to imagine, and that when we go for the quick fix, often it means we’ve failed to undertand the complexity of the issue we’re trying to solve. So how to overcome this impulse to just do what’s easy? How can we learn to better deal with the issues at hand? Using a blend of case studies from around the world, science, as well as a touch of philosophy, Honoré delves into the type of qualities that typify successful approaches to finding solutions to complex problems. 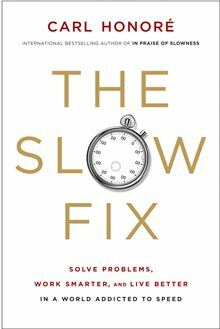 From looking at the big picture, and fostering collaboration, to admitting mistakes – Honoré lays out a manifesto for a new way of approaching problems, and shows us that to solve well, often it means we need to solve slow. 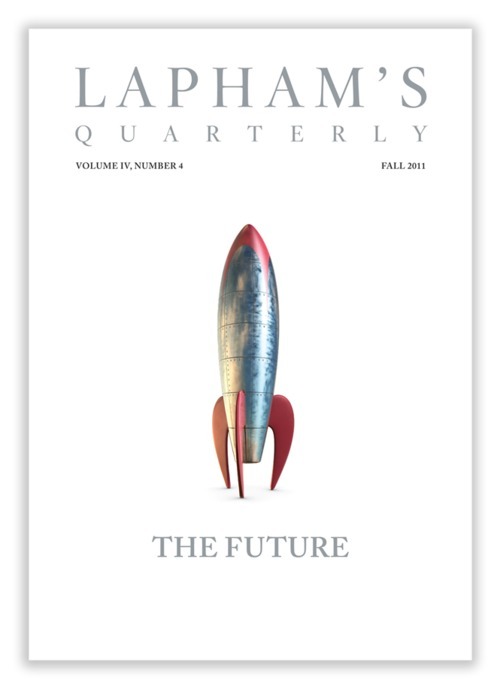 Whenever anyone happens to mention the name Lewis Lapham – the renowned American writer, and social thinker – chances are that a reference to Harper’s Magazine isn’t too far away. Over the course of the almost 30 years he spent in the role as editor of the influential magazine, Lapham and Harper’s became virtually synonymous. 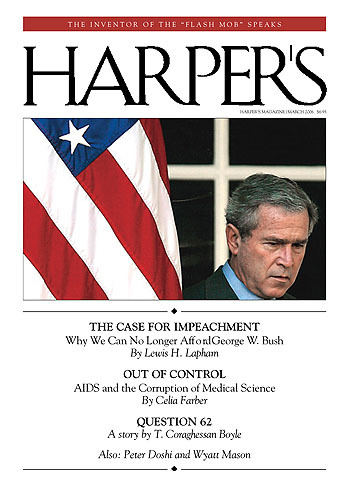 Although he left his day-to-day role at Harper’s in 2006, the magazine still bears many of his distinctive marks; from its layout, to the style of writing – even the Index and Readings sections which were created in a 1984 redesign he spearheaded – Lapham in many ways shaped the magazine into what it is today. And although the circulation of Harper’s has never rivaled that of more mainstream publications, an impressive number of people, from Ira Glass to Thomas Frank, credit Lapham and the magazine with influencing their journalistic sensibilities. But it’s not just for his role as an editor that Lapham become widely known. He is also by many considered one of the most prescient voices in America today. For decades through his columns and books, Lapham, with sharp wit and fierce independence, has been deconstructing the social-cultural landscape of America – traits which have seen him compared with both H.L Menken, and Mark Twain. He came from a privileged background –attending both Yale and Cambridge, but Lapham has never been shy in criticizing what he sees as the excess, greed and short-sightedness of the ruling elite. He vocally argued for the impeachment of George W. Bush for launching the Iraq War, was openly critical of the Clinton’s, and regularly has taken to task the mainstream media and press for their subservience to power and unwillingness to tackle the important issues. While he left Harper’s in 2006, Lapham has by no means slowed down. Having long been passionate about the wisdom that can be gleaned from examining history, he immediately went to work founding and editing Lapham’s Quartery a unique publication that takes an issue or topic of current interest and concern—War, Religion, Money, – and examines it in a historical context using the voices and events of the past to bring the topic to light. 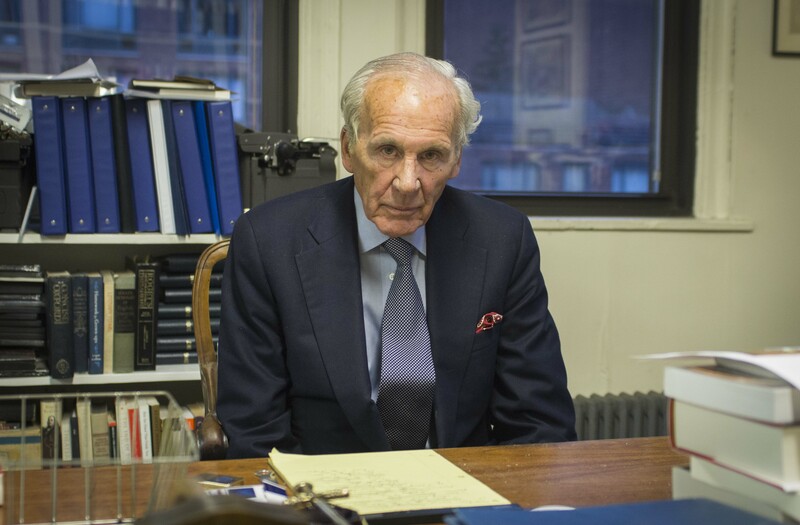 I spoke to Lewis Lapham at his office in downtown Manhattan. 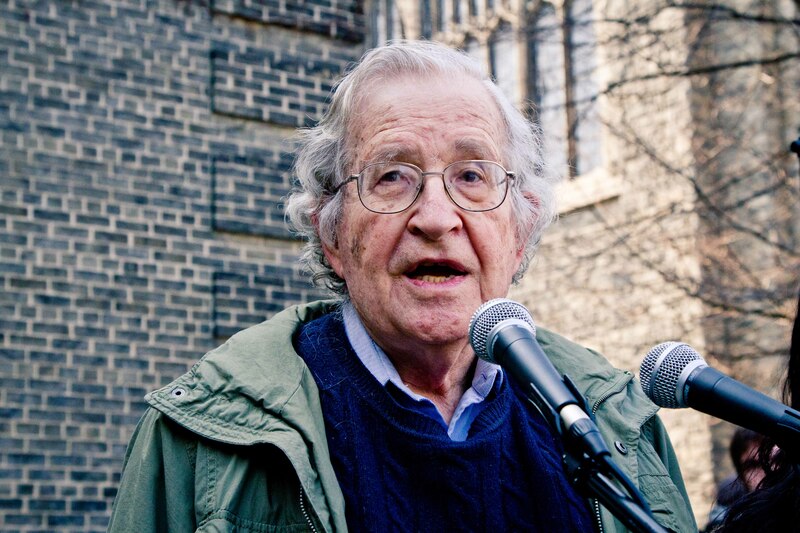 This week, an episode we’re very excited about- an interview with renowned public intellectual Noam Chomsky! From his activism during the Vietnam War and overcoming self-deceit, to the Keystone Pipeline and the looming threat of climate change. Noam Chomsky is widely considered the most important intellectual alive today. In the academic world he is heralded as “father of modern linguistics” thanks to ground breaking theory of syntactic structure which revolutionized the field, as well as for his significant contributions to disciplines from psychology to computer science. But to ordinary people around the world he better known and admired for his willingness to speak truth to power. For decades he has served as a constant thorn in the side of the U.S. elite and political establishment, delivering lectures, publishing books and writing articles that take on everything from U.S. foreign policy, and state capitalism to distortion in the news media. 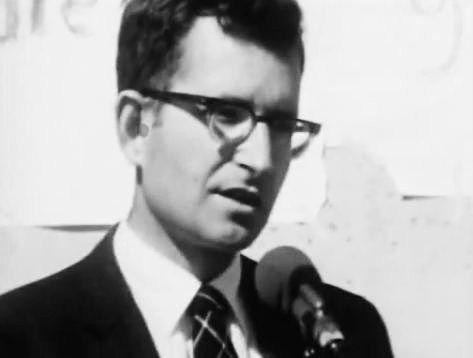 In the 1960’s he was one of the most prominent figures opposing the Vietnam War and became heavily involved in resistance efforts, leading a tax revolt against the state, and helping students avoid the draft. But his activism didn’t stop with the end of the war, And throughout the 70’s 80s and 90s Chomsky continued devoting his time and speaking out on political issues ranging from the U.S. overthrowing democratic governments Latin America, to corporate attacks on the working class. And it continues right up to today. He has rallied against the Obama administration for their extrajudicial use of drones strikes and policy of targeted assassinations, and he continues to warn of the environmental and climate crisis currently facing humanity. He has published upwards of 100 books, and despite his age, he doesn’t seem to show any signs of slowing dow. At 84 he maintains a gruelling schedule, regularly traveling around the world to for political talks and lectures, writing a constant stream of articles, and sitting down for hundreds of interviews a year. 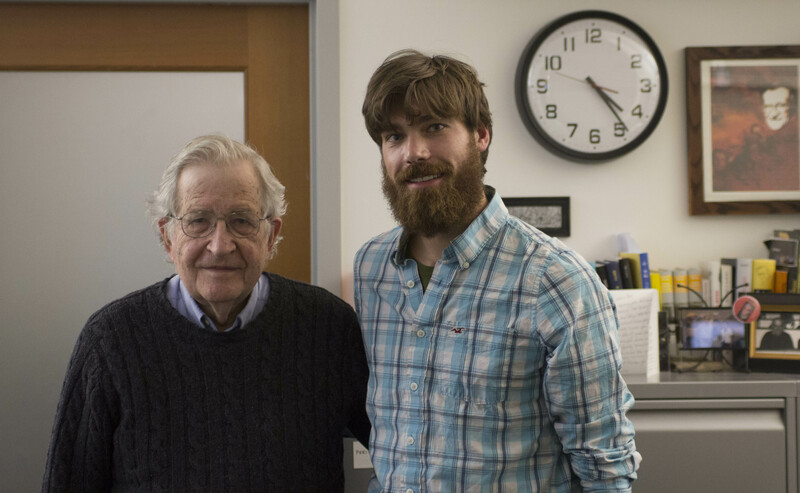 For our interview, I sat down with Noam Chomsky at his office at MIT in Boston. 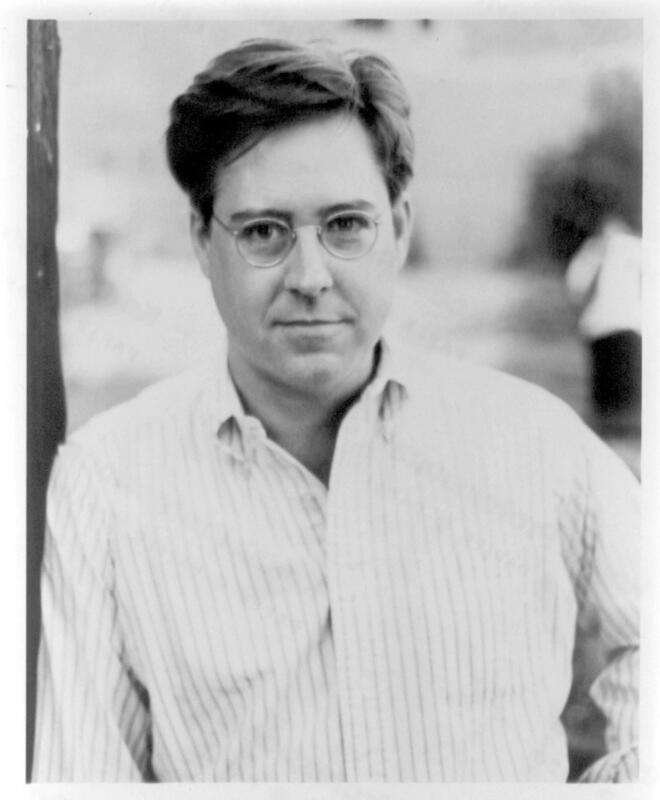 Thomas Frank is probably best known for his regular easy chair column in Harper’s Magazine – the opening essay in which he draws together elements from history culture and politics to make insightful, often unexpected observations into the social-political landscape of our time. In his columns he has taken on everything from the high cost of tuition and the obsession with austerity in Washington D.C, to the culture of gun violence in America. He was born in Kansas City Missouri in 1965, and attended the University of Virginia to study history. Although he originally was conservative, and was even briefly involved with the campus Republicans, soon he discovered his interest in writing, and while still an undergrad, he along with a group of friends founded THE BAFFLER magazine, a journal of cultural criticism. In 1988 he began studying American history at the University of Chicago, from which he received a PhD in 1994. His dissertation was eventually turned into THE CONQUEST OF COOL a book about how industry had successfully commercialized the idea of rebellion and 60’s counterculture. 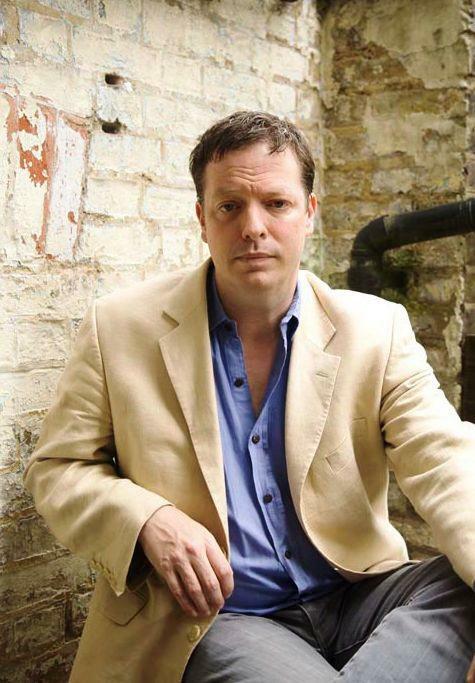 After leaving academia, he became a full time journalist, although his main interest was culture, while writing for the Chicago Reader he became increasingly drawn to political and economic topics from investigating the advertising efforts of Enron, to challenging the dominant free market ideology of the day. During his career as a newspaper and magazine columnist He also has written four best selling books – His most recent is called Pity the Billionaire: The Hard-times Swindle and the Unlikely Comeback of the Right. 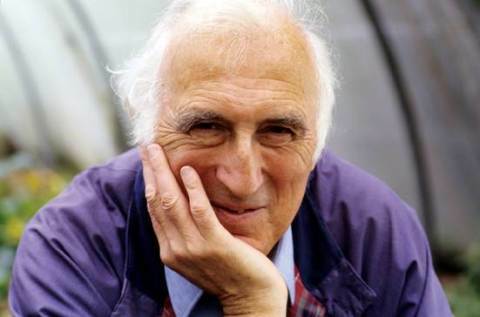 First up on today’s show, famed Canadian philosopher, author and humanitarian, Jean Vanier, on spirituality, community, and on the philosophy of becoming human. He is the founder of L’arche, a series of supportive community with branches around the world, where those with developmental disabilities and those who come to assist them, share life together in welcoming and friendly settings that are integrated into local neighbourhoods. 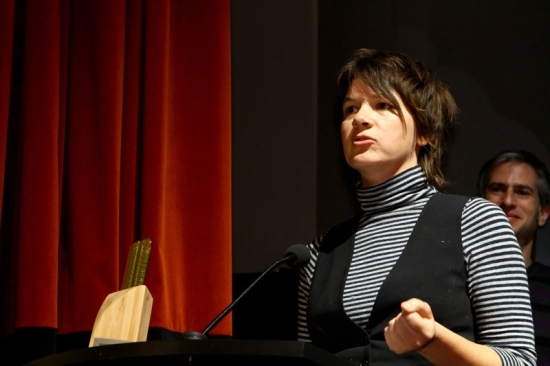 And in the second half of the program, I speak with award-winning documentary filmmaker Liz Marshall on her upcoming film The Ghosts in our Machine, in which she turns her lens to how we treat animals in our modern industrial society. The Ghosts in our Machine will be premiering at the 2013 Hot Docs Documentary Film Festival in Toronto this May. It’s an argument that is becoming increasingly common in the mainstream media throughout the west, that immigration by Muslims is undermining the liberal and progressive values of modern democracies around the world. But in his new book “The Myth of the Muslim Tide”, Globe and Mail journalist questions this argument. 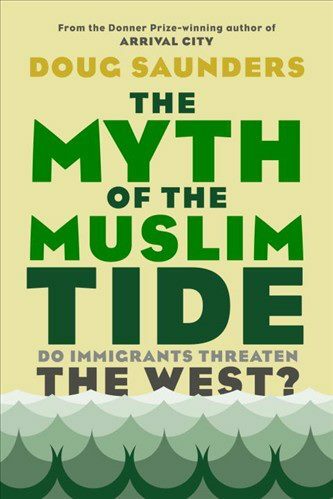 And through a compelling look into the history of other waves of immigration, and by bringing to light some compelling statistics, Doug Saunders challenges this idea that western values are being threatened by a wave of Muslim immigration, and digs deeper into the issue. The Public is a weekly exploration of arts & contemporary society featuring in-depth interviews with the leading thinkers, writers and artists of our time. The Public - Finding brotherly love on tour with The National in "Mistaken For Strangers"